A green building standard in Australia has assigned very low carbon values for wood and pellet heating, which will encourage builders and architects to specify wood heating, because it is now a cost effective means of achieving points toward the green building. The standard, called BASIX stands for the Building Sustainability Index (BASIX) and aims to deliver equitable, effective water and greenhouse gas reductions across the state. BASIX is one of the strongest sustainable planning measures to be undertaken in Australia. The US equivalent is LEED, Leadership in Energy and Environmental Design, and overseen by the US Green Building Council, which is also grappling with how to assign points to wood and pellet heating systems in LEED certified homes and buildings. From the Firewood Association of Australia – This relates to New South Wales (NSW) building regulations, but the science behind it applies everywhere, wherever there are restrictions on using wood fires, or campaigns against the environmental credentials of firewood. NSW BASIX, the Building and Sustainability Index, is an integral part of the planning system in NSW. All new dwellings and alterations/additions over $50,000 in NSW must have a BASIX certificate before they can be approved by the council. It has taken seven years but we have finally achieved a major change in the BASIX rules, which, instead of discriminating against wood fires, now gives them a significant advantage. Here is how it all happened, and what it means. In August 2007 we sent a letter to the NSW Department of Planning that set out our case for a decrease in the “greenhouse factor” that is used for wood heaters within the on-line rating tool used to generate BASIX certificates. We felt that wood heaters were unfairly prejudiced in the rating system by being given the same “greenhouse” emissions rating as a 4 Star gas heater, when it had been confirmed by the 2003 CSIRO Life Cycle Analysis that firewood was (practically) a greenhouse neutral heating fuel. The department’s response to our letter was that they could not accept firewood as being greenhouse neutral because the 2003 CSIRO study did not include an assessment of non-CO2 greenhouse gases like methane and carbon monoxide. The FAA subsequently contacted the CSIRO research team that had carried out the 2003 analysis. They eventually agreed to revise and extend their initial study to include carbon monoxide and methane. The results were formally published by CSIRO in April 2012 in a scientific journal (see the article on the front page of the FAA web site). The revised life cycle analysis showed that the greenhouse effect of non-CO2 gas emissions from firewood is minimal. Following the, we approached the Department of Planning again to request that they re-consider a revision of the BASIX rating for wood heaters. This time we received a more positive response and the team from the Department’s Sustainability Unit agreed to consider our detailed submission. Finally on the 10th of June 2014, after almost 18 months of negotiation with the DPI Sustainability Unit, the BASIX on-line rating tool was updated to reflect a very much reduced emission factor for wood heaters. As noted in previous issues of the FAA e-news, the proposed change was strenuously opposed by the NSW EPA because they are funding a local government campaign to reduce the number of wood heaters in the State. Because of the complexity of the BASIX system the impact of this change on any individual rating assessment is a little difficult to quantify precisely, but it will have the effect of making wood heaters much better than a 5 Star gas heater or a 6 Star reverse cycle air conditioner and in fact better than every other type of domestic heating including ground source heat pumps. One of the likely outcomes of this change is that builders and architects will be encouraged to specify wood heating, simply because it is now the most cost effective means of achieving the required BASIX target. Obviously manufacturers and retailers of wood heaters will be the big winners from this change. However, from a firewood industry perspective there will undoubtedly be an increased demand for wood, even if some of the new wood heaters are only used occasionally. The other main benefit for both sectors of the wood heating industry is that we have finally got formal government acknowledgement of the greenhouse benefits of firewood, which is something that the entire industry can use to its advantage. The next thing to do is to make sure that we effectively communicate and promote what is truly a landmark win for wood heating. To get the ball rolling the FAA is obtaining quotes from commercial marketing organisations in NSW for the preparation and delivery of an integrated and targeted marketing strategy. When we are in possession of these quotes the FAA will invite all parties with a vested interest in the NSW wood industry to attend a meeting where the detailed ramifications of the rating change can be explained and a marketing strategy can be agreed. We would like to express our thanks to the team from the DPI Sustainability Unit for their cooperation in what has been a long and challenging process. Our thanks also go to Joel Belnick of Jetmaster Fireplaces (Aust) Pty Ltd for his encouragement and assistance. 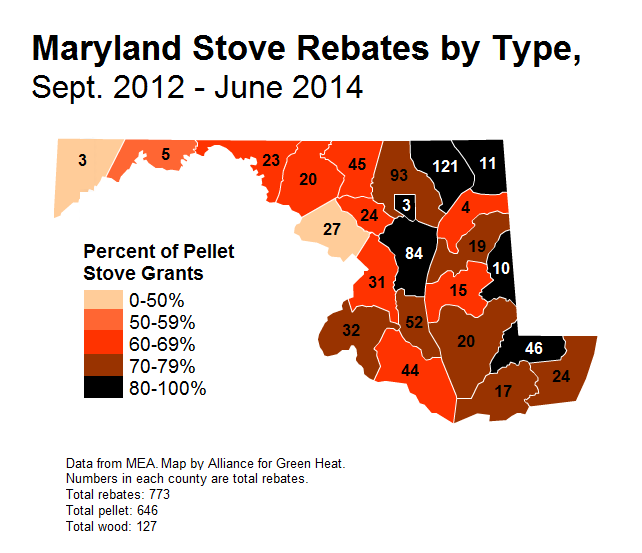 Updated on August 22, 2016 - Most people who heat with wood or pellets do so partly because it saves them money. 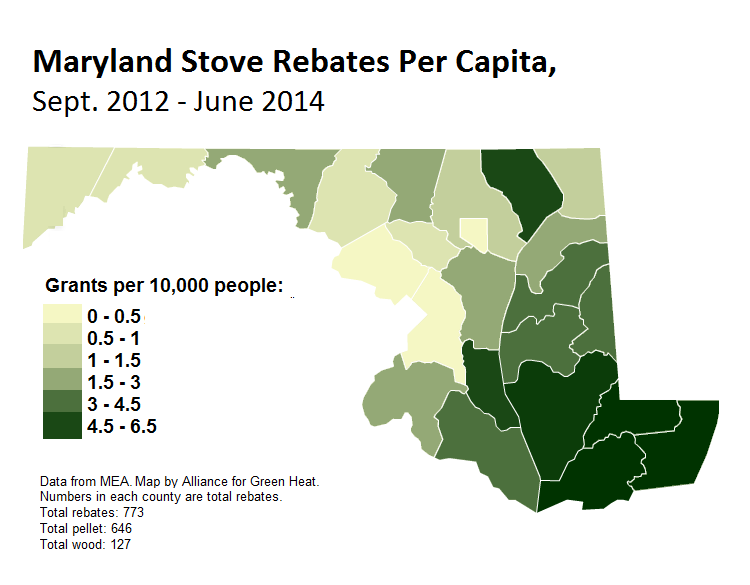 To demonstrate this, stove manufacturers and retailers often include heating fuel calculators on their websites so consumers can estimate their actual savings. So far so good. 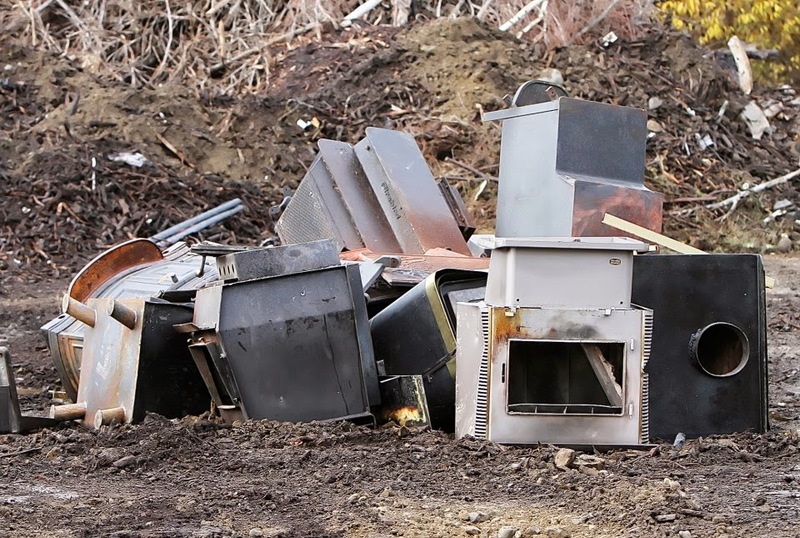 The problem is that unlike fossil fuel furnaces, wood and pellet stove efficiencies are reported in a variety of ways and most stove manufacturer calculators are biased. If you are a consumer, this blog will help you find reliable calculators and reliable typical efficiencies of hearth products. 1. Hearth.com, is run by independent hearth professionals and uses efficiency values that are based on available data, extensive knowledge and experience. The efficiency values are on the conservative side, reflecting estimated real world efficiency over time. 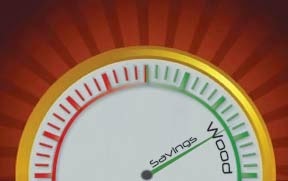 Users enter their own price for cord wood or pellets and then can use the suggested efficiencies provided by Hearth.com. Unlike the USDA calculator, hearth.com uses an estimated 60% efficiency for EPA certified non-cat stoves and for older, uncertified stoves they estimated between 25 and 50% efficiency, depending on if its air tight or not. They provide realistic estimate of 55 - 65% efficiency for uncertified pellet stoves and 65 - 80% for certified pellet stoves. 2. The newly updated USDA Forest Service calculator is notable for including estimated values for both commercial and residential wood and pellet systems. Like hearth.com, it also provides more options for wood and pellet heaters, such as for uncertified (exempt) pellet stoves, so we recommend it over the EIA calculator. It also uses the outdated EPA default efficiencies, so we recommend using the updated efficiencies below, or the more conservative ones in hearth.com. We think it’s important for heating fuel calculators to be transparent and show what stove efficiencies and fuel prices they are using, something many industry calculators usually don’t do. While consumers can easily put in their own fuel costs, it is usually impossible for a consumer to put in an accurate efficiency level of a particular stove. Few major US manufacturer provide a reliable efficiency of their stoves to their consumers that are clearly American (HHV), not European (LHV) heating values. Consumers should not rely on the efficiency numbers posted by manufacturers. We encourage consumers to use the average efficiency values listed below. Many fuel calculators that focus on wood and pellet stoves do not disclose the efficiency numbers they use in the calculation so the consumer cannot know what the values and assumptions are. Harman, Quadrafire and Travis calculators are a good example of this. HPBA and most industry calculators do not include a separate efficiency value for catalytic stoves, which have consistently higher efficiencies if they are used properly. There are some datasets based on standardized wood stoves testing. Studies from Houck & Tiegs, Robert Ferguson, and OMNI labs are among the best sources available as of now (they are listed below). Those studies and data sets indicate that non-cat stoves average between 68 and 72% efficient, significantly above the 63% EPA default efficiency that was set in the late 1980s. There is little data on catalytic stoves, but we think the EPA default of 72% may not be too far off the mark. We suspect the average today may be in the 75% range, and the most efficient ones that are listed on the EPA list average around 80%. Theold EPA default of 78% efficiency for pellet stoves is by far the most misunderstood, because that 78% only applied to EPA certified pellet stoves, not their less efficient cousins, the exempt pellet stoves. We now know that the default efficiency was too high for both certified and uncertified pellet stoves. New, certified pellet stoves average about 72% efficiency. An OMNI study found the average to be 68% and EPA tests referred to in paper by Jim Houck estimate 56% for exempt pellet stoves. There is extensive misleading information about pellet stove efficiency not only from industry, but also from some US government sites. Efficiencies of Phase 2 EPA qualified boilers range from 39% to 78%, with an average of 65% according to the EPA list of boilers. An Intertek report cited a 55% average efficiency for Phase 2 boilers and the State of Maine gave them a 65% average. Efficiencies for European pellet boilers certified to the EN303-5 standard are likely to be in the 75 – 85% range, although some that are oversized or without any thermal storage could be lower. Non-cat wood stoves tend to be bunched between 65 - 75% efficiency. However, pellet stoves can range from 45 - 80% efficiency. Higher efficiency ones are more likely to be the EPA certified or the European pellet stoves. Unlike non-cat and pellet stoves, catalytic stoves are much more likely to have reliable, actual efficiency levels posted on the EPA certified stove list and that is an excellent resource to select one of the highest efficiency catalytic stoves on the market today. Wood stove efficiencies discussed here are derived from tests in strictly controlled lab settings. For consumers, to get similar, optimal efficiencies it is vital to use seasoned wood (about 20% moisture content). Ferguson, Robert. An Evaluation of Overall Efficiency for EPA Certified Non-catalytic Wood Heaters. Rep. Ferguson, Andors & Company, prepared for the Hearth Patio and Barbecue Association (HPBA)., 21 July 2011. Houck, James E., and Paul Tiegs. Residential Wood Combustion Technology Review. Tech. no. EPA-600/R-98-174a. OMNI Environmental Services, prepared for the EPA Office of Research and Development, Inc., Dec. 1998. Web. .
Houck, James E. "Pick a Number, Any Number." Hearth & Home. N.p., Mar. 2009. Web. .
Li, Victor S. Conventional Woodstove Emission Factor Study. Rep. no. Study. Environmental Protection Operations Division,, n.d. Web. . The Engineer’s Guide to Efficiency Requirements for Wood Burning Appliances. Rep. no. BPEE201-11. Intertek, n.d. Web. .